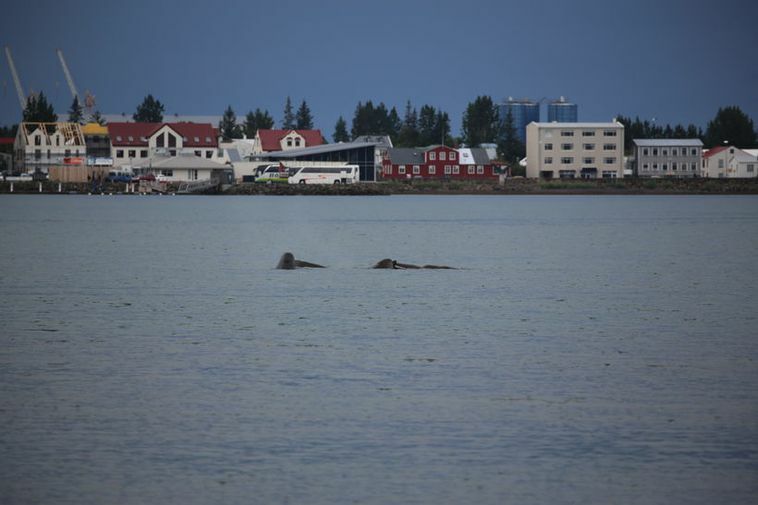 The residents of Akureyri, North Iceland, saw an unusual sight a short distance from land yesterday. Bottlenose whales playfully swam and jumped out of the water, right in front of their eyes. 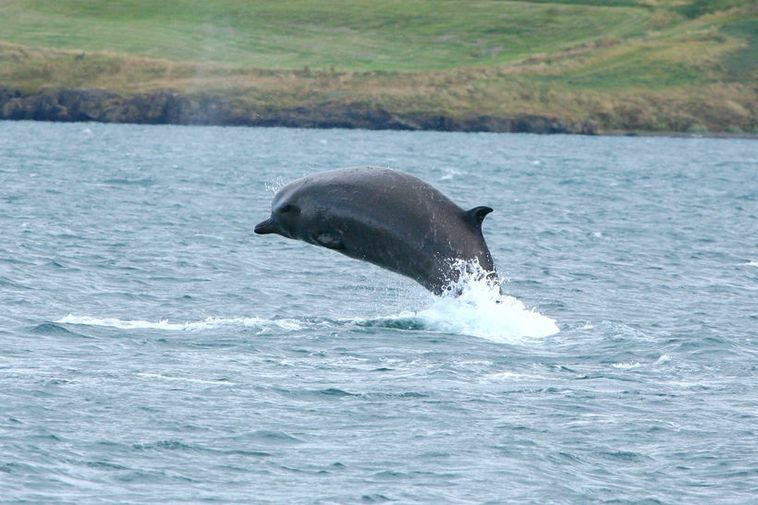 According to Þorgeir Baldursson, reporter for mbl.is, coming this close to land is unusual for the bottlenose, but not unheard of. The whales counted between six and eight. Tourists and residents alike were delighted to be able to observe them up close and used the opportunity to take a number of pictures. Bottlenose whales have been sighted close to land in other areas lately. In Borgarfjörður eystri, the East Fjords, residents spotted them right before the music festival Bræðslan began there last weekend. Those were four full-grown whales and two calves. Hlynur Sveinsson captured them on the video you can view below.